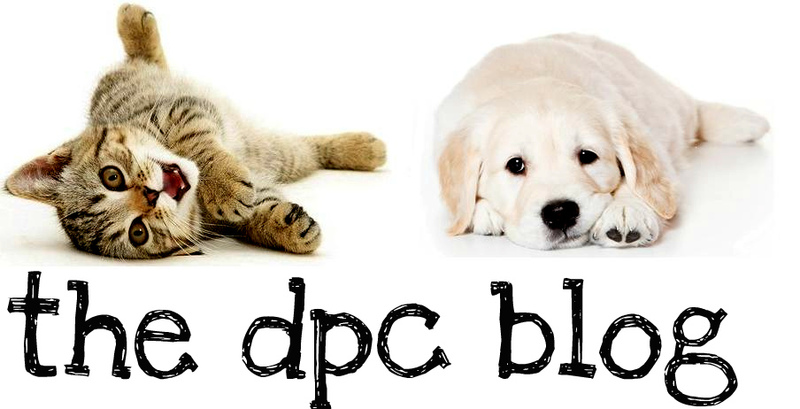 DPC's Blog: Popular Dog Myths - Fact or Fiction? Popular Dog Myths – Fact or Fiction? Actually, dogs do not have “night vision,” but they do see better than humans in the dark. The main reason dogs see better than humans in the dark is that their eyes come equipped with a Tapetum. A Tapetum is a mirror-like structure in the back of the canine eye that reflects light back to the retina allowing the dog to have a second view of an object in dimmer situations. A Tapetum also causes the dog’s eyes to seem like they are glowing. Even though dogs can see much better than humans in darker conditions, they do not truly have night vision. Research has shown time and time again that a dog having a litter does not help her in any way. In fact, unaltered dogs are actually more susceptible to cancer and urinary tract infections and unaltered dogs are known to have shorter life spans than altered dogs. Find a spay and neuter clinic or low cost spay and neuter services near you. This myth has many people talking for years. There is no scientific evidence proving that purebred dogs are healthier than mutts, in fact, it may be the opposite. Purebred dogs have been in-bred for many years, thereby creating, as well as passing along, detrimental traits. Simply put, the dog is passing on its bad traits with the breeder’s sought after “breed standard” traits. This is not to say that a mutt will not have these detrimental traits as well, but it less likely because the dog was probably from unrelated parents. For many years, “old wives” tales have said that a dog’s nose can tell if he is sick. There is actually no research to back this myth up. In fact, a dog’s nose may be wet, cool, dry, or warm at any given time. This does not apply to sunburned noses or raw noses. If you’re worried about him, take your dog to the veterinarian. Any dog has the ability to learn, young and old. Remember, an older dog will already have a few set ways that he may be used to, but with a little work and training, he can learn as much as any other dog. Remember, when considering adopting a new dog, that many older dogs come housetrained. Serious bugs can exist in both human and dog mouths as part of the normal flora in a mammal body. Consider the last time you brushed Fido’s teeth. Has he been outside eating feces, bugs, dead birds, and who knows what? Even though Fido’s mouth has different bacteria than humans, his mouth is not necessarily cleaner. This is false as well. In fact, trainers recommend that one of the first steps toward a well behaved dog is to teach him his name. A dog’s name is a good platform to build new tricks and further train your dog. This may seem true if your dog barks at everything and tries to attack people or other animals, but in reality, aggressive dogs do not know if the person nearing them is a friend or an enemy. This can confuse the dog and he may end up biting the wrong person. Many people mistake aggressiveness for protection, and end up getting hurt by the family pet. If your pet is showing signs of aggression, please take steps to train your dog and to socialize your dog. Completely and utterly false. Dogs have the ability to move face muscles to show expression. Think about when your dog is upset (mad.) He will adjust his ears, squint his eyes, and even show his teeth to let other know he is upset. This is a good way of telling that a dog is upset. Some dogs have even been known to pout and not make eye contact when they have their feelings hurt. University of Wisconsin - Madison (2007, November 9).